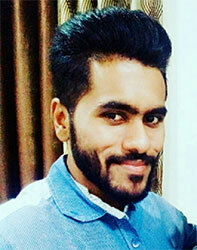 A Human Resources Strategist with 9.5 years of expertise in overall gamut of the Human Resources including HR Strategy, Policy Formulation, Sukhpreet Singh Sandhu comes with multi-industry exposure in Retail/Etail, Consulting, Analytics, Mining, FMCG, IT/ITES, and Aviatio with high proficiency in HR strategy, talent development, and talent & performance management. He worked with Convergys where he was responsible for taking up complete charge of training, performance coaching. He carries two specializations in Human Resources: Global HCM from London School of Business, and Strategic Performance Management from XLRI. He has been a speaker in a few HR forums and writes as a guest editor in HR magazines occasionally.